When Victor (another Catholic Blogger!) from Happy Saints graciously gave me permission to use his awesome saint pictures in a craft, I was so excited! 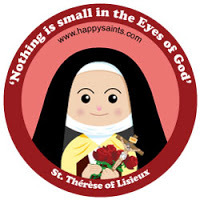 I just love this company and their adorable saint pictures! …and she’s handing out her SAINT Valentine cards tomorrow…what a nice Catholic change from Barbie and Buzz Lightyear! Here is another felt doll/statue! It’s Our Lady of Lourdes and she’s perfect to make and/or display on her feast day- Feb 11th. 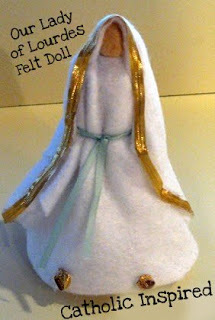 This doll/statue is a project that will require some assistance from older crafters who can use a hot glue gun to add the gold trim to Mary’s veil. Or if you sew, you could sew it on, too! For the instructions click here. Our Lady of Lourdes feast day (Feb 11). Host a Card Shower for a Priest! Our parish priests put forth so much effort for us! 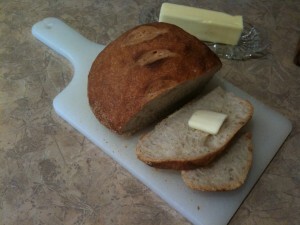 They have a life of sacrifice, stress, and heartache with very little appreciation from we parishioners. We need to show these devout men that we are thankful for their sacrifice and living witness. 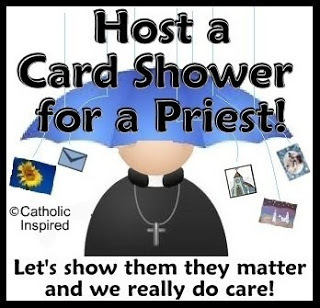 For those who don’t know what a card shower is….It’s when a large group of people join together to send cards to someone. 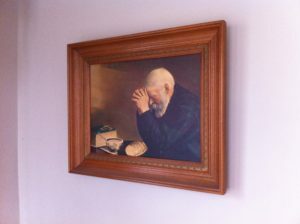 Each individual should take a few minutes to send a store bought card or a hand-made card to the your parish rectory. Normally, the time frame for this would be over the course of a week or month. As the host you simply need to get the word out!! This is a perfect activity to do during February for Valentines day!!! After all they don’t get a card from a wife! 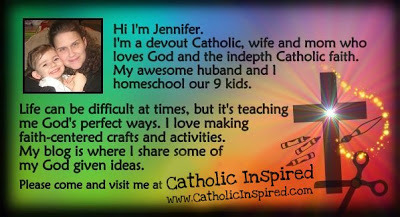 To learn more or for free printable fliers Click here.